Clear glass vase with bright fresh flowers. 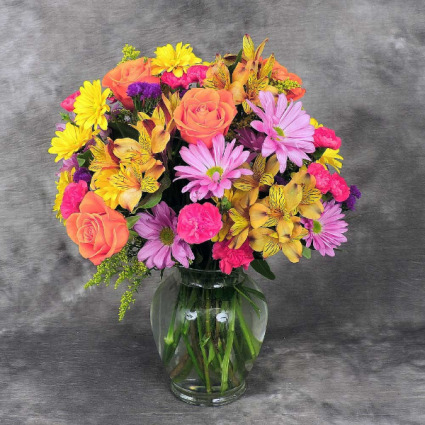 Contains roses, mini carnations, daises, alstromeria lilies and more. Roses, lilies, mini carnations and poms. 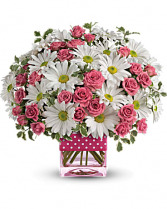 Spray roses and daises in a cube vase. 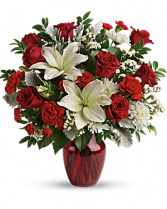 Red vase with white lilies, red roses, red carnations and filler.